I'm happy to find a template in my store for you, but if you would like to search on your own, you can just type in what you're looking for in the search box below (that one will search items only in my store...the top search box will search all of Etsy). If you see a design you like (for example, my "Chic Bouquet) and you want to see if I have anything in that design in the color plum, you would just type in the search box "Chic Bouquet Plum" or "Chic Bouquet Purple". Or if you would like to see all of the program fans I have listed, you would just type "fan" in the search box to see what I have. Beautiful design. Printed just as it looks! Great customer service also and very quick responses! I would highly recommend purchasing from KarmaK! Thank you!! Capture the Love Printable 8 x 10 Wedding Sign. Edit your hashtag in Adobe Reader, Print, Trim & Frame! Burgundy & Burlap Wedding Place Cards - Perfect for Fall! Help your guests find their seat with an elegant, easy-to-edit wedding table numbers template. It's all in the details. 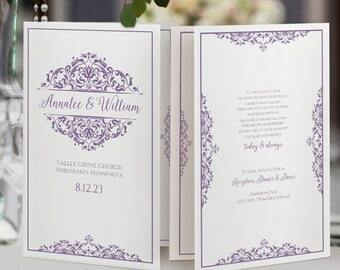 Customize your text and enclose with your wedding invitations. There's room on both sides! Instant, Easy & Elegant Wedding Programs - Print Your Own Today! I've been working with do-it-yourself brides since 1999. I started by selling handmade paper with real flower petal inclusions and later sold wedding invitation kits made with handmade papers, ribbons, pocket-folders, and jewels. For the past few years, I've been creating downloadable templates so brides can instantly download and create their own wedding invitations, programs, r.s.v.p. 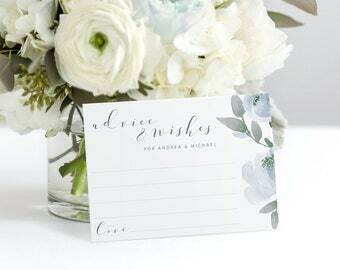 cards, place cards, etc. If you have any questions or if you have a special design request, just let me know. To fulfill your order, you must provide me with certain information (which you authorized Etsy to provide to me), such as your name, email address, postal address, payment information, and the details of the product that you’re ordering. When ordering a customized product (if available) you may also choose to provide me with additional personal information, if you contact me directly. 5. I may store and process your information through third-party hosting services in the US and other jurisdictions. As a result, I may transfer your personal information to a jurisdiction with different data protection and government surveillance laws than your jurisdiction. If I am deemed to transfer information about you outside of the EU, I rely on Privacy Shield as the legal basis for the transfer, as Google Cloud is Privacy Shield certified. For purposes of EU data protection law, I, Nathan Martin, am the data controller of your personal information. If you have any questions or concerns, you may contact me at karma@karmakweddings.com. Please view the product images to see what's editable in each template. Not all of the text is editable in some templates. TEA-LENGTH PROGRAMS: Front and back isn't aligned. 1. First make sure you are using standard US letter-size paper. Double-sided templates may not work correctly on A4 paper (please ask me for free samples to try before purchasing). 2. Don't use your printer's double-sided printing settings. This can sometimes add in an extra margin, which will make the pages not correctly aligned. You need to print one side. Then flip your paper over and print the back side onto that. Then trim to size. 3. Make sure that your printer settings (under printer properties) aren't set to "scale to fit" or "shrink". These need to print at 100%. Can I Get These Printed by a Professional Print Shop? Many professional printers will only work with full bleed, 1up pdf files. The templates sold here are a different type...so, if you plan on having your templates printed by a print shop, make sure and check with them first. Some online copy/print shops will only take pdf files.